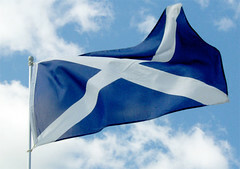 DUBLIN – In a matter of month the government of Scotland will be able to adjust its own rates of personal income tax. On November 30th the UK government approved the Scotland Act 2016 which devolves income tax powers to the government of Scotland. Under the new rules, from April 6th 2017 the government of Scotland will have the power to independently set the rate of income tax in the country and to also adjust the income tax thresholds. The current tax thresholds in the UK, and subsequently Scotland, are GBP 11 000, GBP 42 700, and GBP 150 000, with the respective tax rates set at 20 percent, 40 percent, and 45 percent. However, Scotland will not be empowered to adjust the level of the personal allowance, below which individuals do not face tax obligations.